It is ALREADY!?! November and just like that there are less than 2 full months left in 2018. Kids have had the hang of school for a couple of months now. Our schedules have been a little normal compared to the Summer schedules. We have adjusted to the new much colder weather too (I guess) and to the fact that it gets dark soon. I am sure a lot of you have even started their Christmas shopping and some may have even started decorating. Heck, I have seen so many Christmas-themed posts on Instagram already and even Holiday Gift Guides popping left and right. Well, the only thing Holiday-related I have done is get out our Christmas Coffee Mugs which I took out today, this morning. Due to time, I missed my monthly Currently Post last month but I am back this month with a new one. 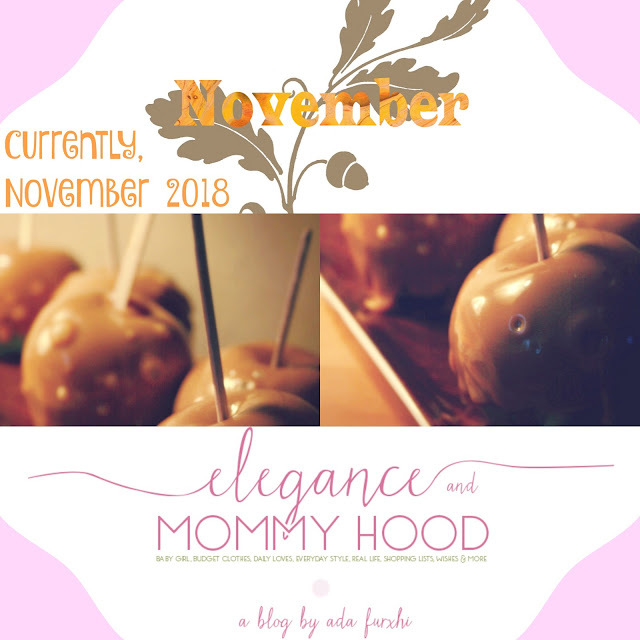 So read on to see on what I am up to currently and let's link up as usual every month with ANNE from Anne in Residence for her monthly "Currently" posts. appreciating: The sunshine. With all the rain we have had over the last 2 months, I am sure appreciating all the sun we have had, like today with full-on sun. I don't even mind that the high was only 40 degrees. I will be appreciating that sun even more starting tomorrow with the Fallback. Yes, I am happy that it will not look like it is nighttime in the mornings when I wake up Vivian and get her ready for school and she tells me every morning: "But mommy is still night time." And at the same time, daylight will be gone by 5ish. So yes the daylight and sunshine are even more important because of the time change. I also appreciated the sunshine (and warmth) on Halloween in the afternoon and evening. From the last 4-5 years or so, this was by far the warmest, nicest Halloween weather we have ever had! researching: Kindergarten Programs and Children's Learning Apps on teaching a 5-year old how to learn to read and more. Vivian has been to school for 8 weeks now and her teacher is very strict and tough which is mostly a good thing, but sometimes it isn't. On top of having a tough teacher, the school district she goes to, has great schools however difficult curriculum too. The schools are tough with a heavy load of daily work, lots of homework and accelerated learning. Since Vivian - like most kids her age - loves watching children's videos/movies on a the tablet or smart phone, I am 100% positive that finding the right programs and videos for her to improve, help and teach her (better) when it comes to reading especially, but also math etc. will prove to be a successful outcome. At least I hope so. She practices writing and spelling every day but then again learning how to read, pronounce words and spell words are 3 totally different things in the English language. And no one knows that better than someone who learns English as a second language, like I did. posting: next on the blog: "A Mommy + Me" Day Out Post including our outfits and some Fall activities/fun we have had this Autumn season. The next post which will be in collaboration with my girls Kellyann and Chrissy with whom I co-host "The Sunday Showcase" the very first Sunday of each month, will be the perfect post to wrap up this Halloween week. 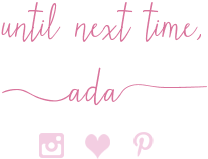 Also starting this month of November, I will be sharing some Holiday Looks/Outfits and more Blogger Collaborations! getting: ready to shoot some Holiday Looks, and hopefully the very first one I can shoot tomorrow (hope the weather cooperates). I also hope to have/shoot at least 8 to 10 Mommy+Me Holiday Outfits to be shared on the blog in November and most of them in December. Below are four outfits I have worn around this time in previous years, on the blog. I love doing these Outfit Recaps and looking back into what I wore at this time in years of the past. 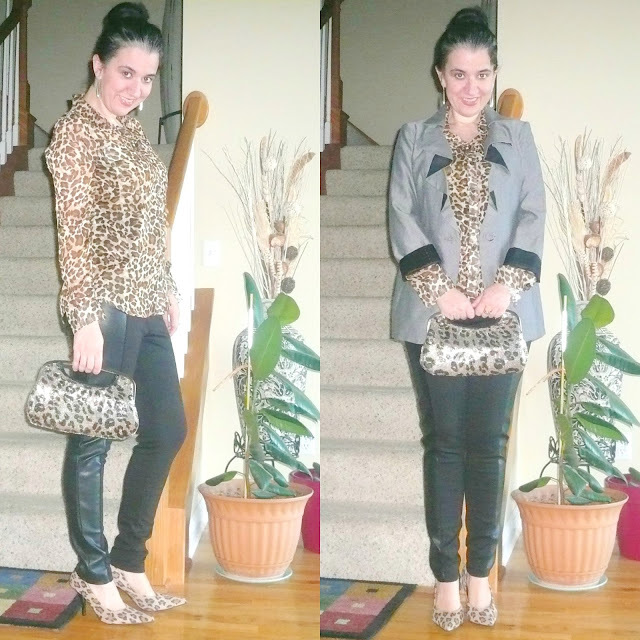 This outfit was worn to my current job at the time in Albania in mid October and blogged in the beginning of November of 2012. As you can tell I was very pregnant and had just started my third trimester. While pregnant I only had one pair of maternity pants and a pair of maternity jeans I was rotating between my regular pants/jeans/bottoms. The top isn't maternity either but I love this Beautiful Jewel-Tone Green Blouse with the Rosette Ruffle detail (by the Limited). I added a Fun Long Gold-Tone Necklace and wore my Wedge Oxford Booties with my Wide-Leg Pants and voila! And yes it was still very warm in Albania in mid October. Oh how much I love this outfit!! I really do! This mama got all dolled up for a night out with my girl cousins. Dressy outfits were not the norm then as I was a stay-at-home mom to baby Vivi. Also, I blogged this outfit after an entire week of guest posts so I had to come back with a bang! I think ALL of these pieces are tucked away in my closet in Albania and I don't know if I will see these pieces again. I will look for that awesome blazer in case I have it. But, I do have very similar pieces to re-create this outfit, except the leopard clutch. As much as I love this Metallic Leopard Clutch from Express I might not have it anymore and I don't own any leopard purses of any kind, lately. I need to change that! Also I need to re-create this outfit because Leopard is HUGE in Fall+Winter 2018 and let's not forget: "Leopard is a Neutral"! Oh and speaking of that Amazing White House Black Market Blazer, I love the cascading front ruffles. 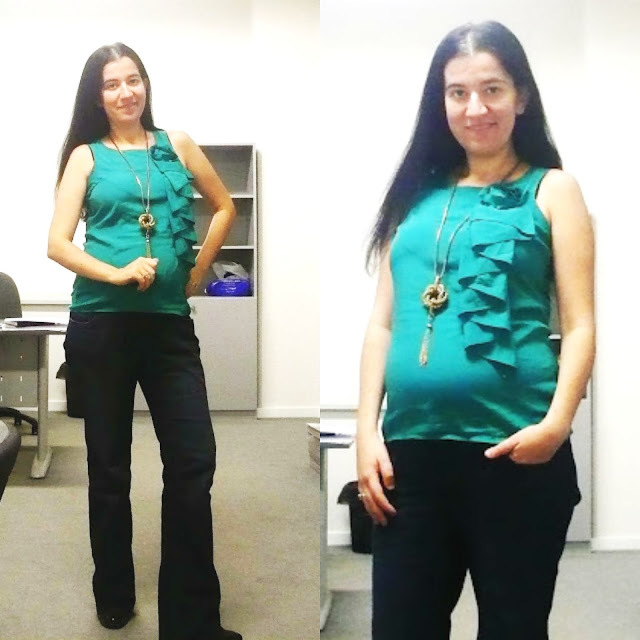 "On theme" with the cascading ruffles today, between the previous outfit (when I was pregnant) and this one. I chopped my hair in October 2016 and I seriously love a bob haircut on me but sometimes they can be even harder to maintain than long hair. 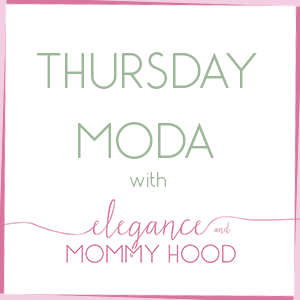 Anyhow, this particular post was on a Thursday Moda Collaboration with Kristin from Countdown to Friday with whom I co-hosted Thursday Moda again less than 2 weeks ago. 2 years we wore identical pieces: the Red+Black Buffalo Plaid Vest and this year we also wore exact items: Target's Glen Plaid Blazer (here). This outfit is one of my most favorite Fall Looks I have ever blogged. I remember it vividly. As a matter of fact I plan on styling this J. Crew Cherry-Print Midi Skirt soon. 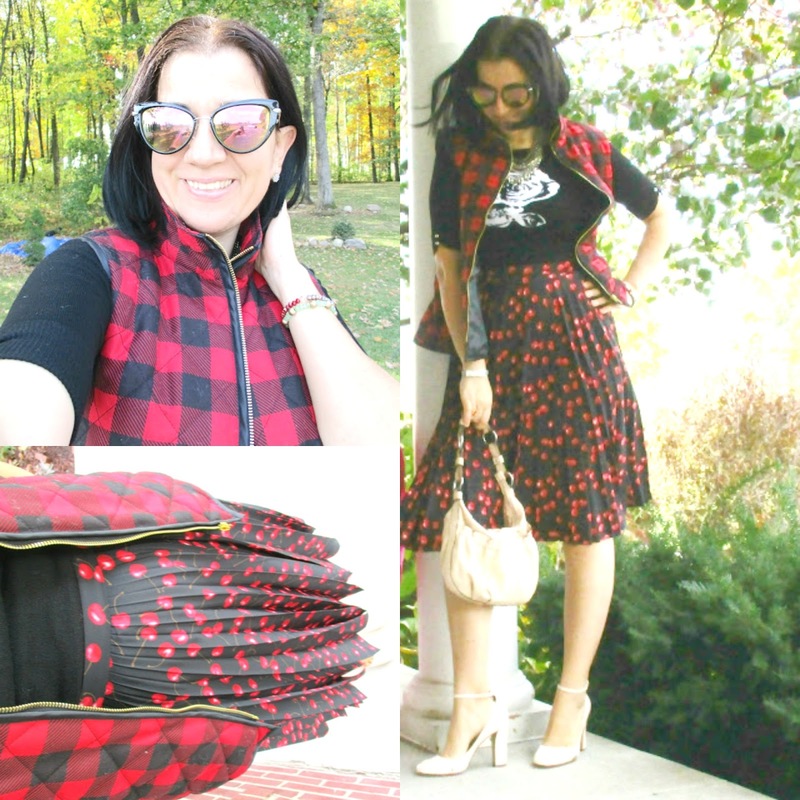 I loved the pattern-mixing in black+red between the buffalo plaid and the cherries. Also the pops of ivory were perfect between the Soft Leather Bag and the Patent Leather Mary Jane Pumps. Also, I can see how festive and fun this outfit feels. It would be perfect for the end of the year holidays!